Organized amateur sport suffered greatly during first the Great Depression of the 1930s and then the years of the Second World War. While commercial professional sports like the National Hockey League managed to attract crowds, grassroots sport suffered. This period saw the beginnings of limited government funding for physical activity, first to ease the social burdens of the Depression and then to ensure a more reliable supply of fit bodies for the war efforts. Creative efforts to promote lacrosse --- like the indoor box lacrosse leagues that included teams in Toronto and Montreal - fell by the wayside. It would be left to individuals to champion grassroots sport. And there was no better example of this new reality than lacrosse in Manitoba, where the sport was virtually kept alive in two Winnipeg neighbourhoods thanks to the efforts of dedicated volunteers and lacrosse enthusiasts. The impact of the Depression on the fortunes of lacrosse in Manitoba was exacerbated by the Second World War. There were limited resources for grassroots sport and participation dwindled. 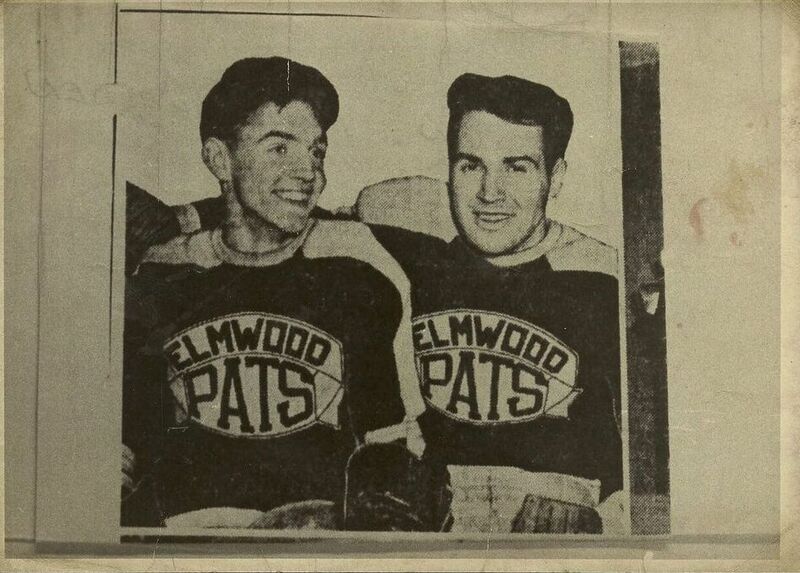 In 1940, for example, the junior series in Winnipeg consisted of the West Ends and the Elmwood Pats. All-star squads of local players were brought together to meet travelling teams from the east, but the Winnipeg Tribune dismissed George Neil's efforts to revive lacrosse in Winnipeg as "a lost cause." Although lacrosse was popular in the east and on the west coast, "for some unknown reason has lost its fancy for local sports fans." The sport "has had its day in the city, it will be some time before it can be revived." However with RCAF personnel based in Winnipeg during the war, a collection of talent - mostly from Ontario and BC - did find itself in the city. Competitions were organized and in 1944, for example, the team from No. 8 Repair Depot were recognized as champions of No. 2 Training Command RCAF. At considerable sacrifice of time, energy and his own money Thomas had preached and pleaded for the cause of boxla in this town. When he called that first meeting five years ago to revive the game, a lot of people merely yawned and sat back to await the anticipated natural demise of a sport that had tough sledding here, despite various attempts at revival. But they did not reckon with O'Brien's great gift of salesmanship and promotion ability. Interest in boxla played a significant role in the formation of more than one community club in Winnipeg. Residents of the western part of Elmwood were interested in the opportunity to add baseball and softball to the hockey and lacrosse that was already being played on the site located between Union and Martin avenues and bordered by Kelvin Street on the west (later renamed Henderson Highway) and Brazier Street on the east. They also wanted to have a place in which to hold neighbourhood dances and other kinds of meetings. Although Elmwood was broken into three sections by railway tracks, the neighbourhood, made up largely of the families of railway workers, had a strong sense of community. Its sports teams were sponsored and run by the Elmwood Athletic Association, a vibrant organization that had its origins well before World War Two. 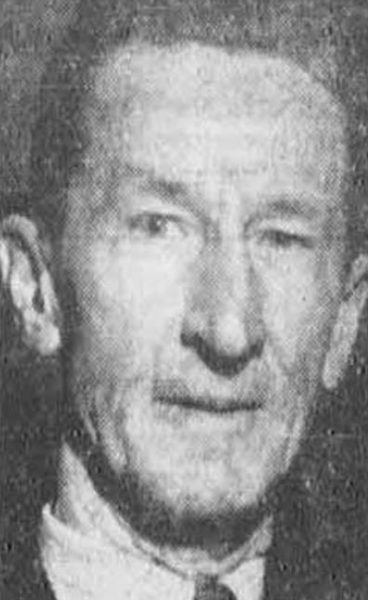 Working with people living close to the Kelvin and Union site and with the Elmwood Athletic Association, Charles Barbour encouraged the residents to organize a full community centre. The Kelvin Community Centre was duly formed and in 1948, with the assistance of money from the 1946 recreation by-law, the existing boxcar clubhouse was replaced by a new two-storey facility facing onto Kelvin Street. 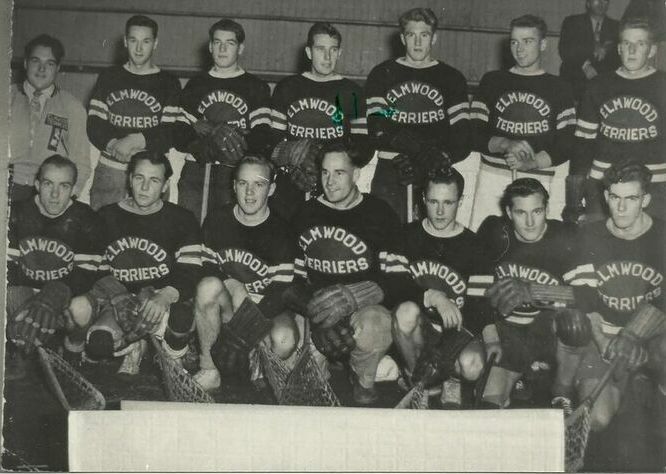 The Elmwood Terriers teams were among the most successful in the GWLA and the 1950s and early 1960s were "Kelvin's golden era." Elmwood players would play a dominant role in the junior all-star teams that represented the province in national competitions during the 1950s. Despite this concentration of lacrosse talent in one neighbourhood, lacrosse in the city and the province suffered in the 1950s. Nevertheless, the early-1950s marked a high-point with junior all-star teams reaching the finals of the Minto Cup three times over a five-year period. The best lacrosse teams in the country hailed from southern Ontario and the BC coast. When travelling to face one another, these teams regularly stopped in Winnipeg to play exhibition matches. 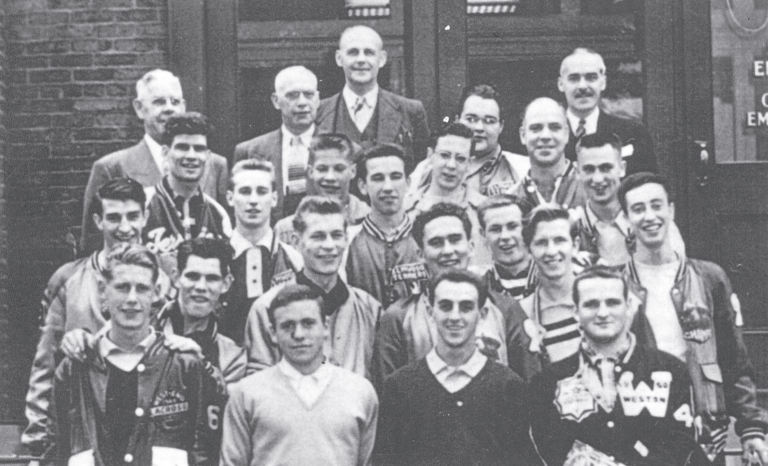 In 1946, for example, the New Westminster Salmonbellies were headed east to play St. Catharines for the Mann Cup. They stopped over in Winnipeg and beat the Elmwood Pats, 25-8, in an exhibition at the Olympic Rink. Beginning in 1947, Winnipeg teams annually competed against either BC or Ontario teams as part of the playdowns to national junior championship, the Minto Cup. The breakthrough came in 1951. Having failed to advance past the semi-finals in previous attempts, an All-Star team reached the Minto Cup finals in 1951, repeating the feat in 1954 and 1955. The 1954 semi-final victory over the Long Branch Monarchs was notable for being the first time a Manitoba team defeated a team from the east. While minor lacrosse in the city would suffer without the structure that O'Brien and the GWLA had brought in the late-1940s, the early-1950s success in the junior-age Minto Cup playoffs reflected the player development that had occurred within the GWLA at the bantam, midget, and juvenile levels. 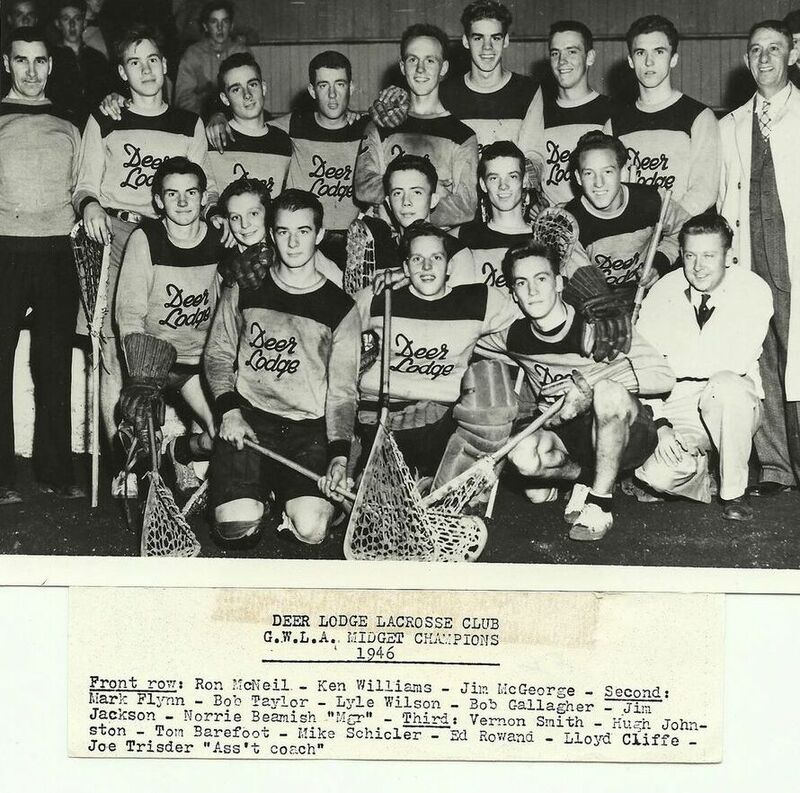 Despite the success of the junior all-stars in Minto Cup competition, as early as 1950 one local lacrosse enthusiast worried that if the juniors did not break through and win at the national level then that "boxla is finished here for keeps." Despite "the good work of the people in Elmwood and Deer Lodge, the game once again has declined in these parts after a brilliant comeback led by that great revivalist, Uncle Tom O'Brien." This observation was not entirely without merit, as box lacrosse at the younger ages struggled throughout the 1950s to field enough teams for competitive leagues. 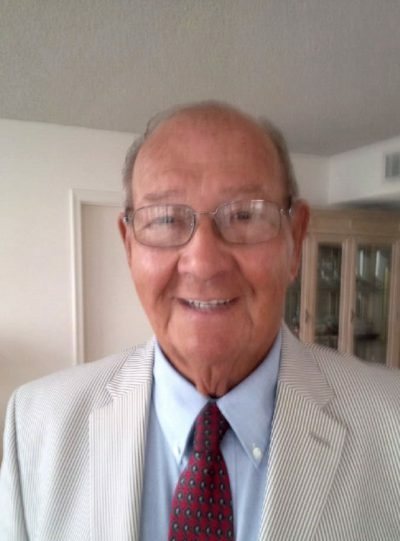 One consequence of O'Brien's efforts, however, was a slow revival of senior lacrosse as the players who developed in the GWLA matured into their twenties. 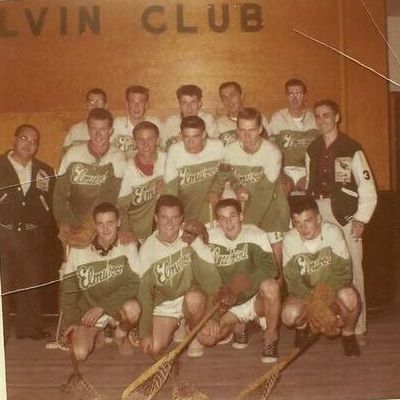 As early as 1951, four teams - the Argos, Shamrocks, Wellingtons, and Winnipegs - competed in senior lacrosse. Within five years an attempt was made to create Senior B league within the city. The Winnipeg Senior Box Lacrosse League began play in 1956. Within years the league would find itself struggling to field enough teams, although it did provide another forum to showcase the success of Elmwood lacrosse, as the Elmwood Drewerys won two of the first three league titles. Despite these efforts, the fortunes of Manitoba lacrosse waxed and waned throughout the 1940s and 1950s. 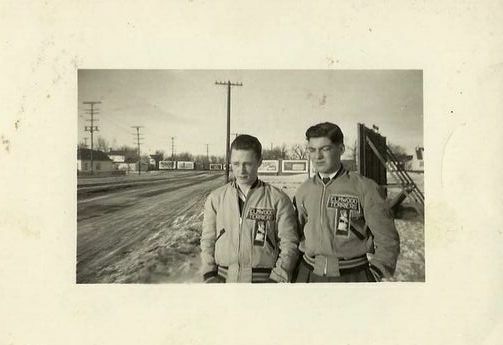 The sport had gained a strong foothold in the Winnipeg neighbourhood of Elmwood, as sportswriter Vince Leah noted, but gained little traction elsewhere: "there remains a tight little core of boxla enthusiasts in Elmwood, but elsewhere in Greater Winnipeg, the sport, which was budding beautifully in the early post-war years has withered on the vine." The infrastructure for successful programs and club teams was never firmly established and periods of success were followed by struggles to fill out league schedules. Nevertheless, strong junior teams developed in Elmwood and elsewhere, able to challenge the nation's powerhouses. These teams were comprised of some of the province's best young players, many of whom would star for and lead the successful resurgence of outdoor boxla that would begin in the late-1960s. In the spirt of Governors-General of Canada offering vice-regal patronage of early amateur sport by sponsoring trophies (Lord Stanley in hockey and Earl Grey in football), Lord Minto donated a cup in 1901 to be awarded to the country's senior lacrosse champion. The Minto Cup was given to the national professional champion between 1910 and 1934, before it became property of the Canadian Lacrosse Association. The CLA determined that the Cup would be awarded to the national junior champion (with the designation Junior "A" beginning in 1960). 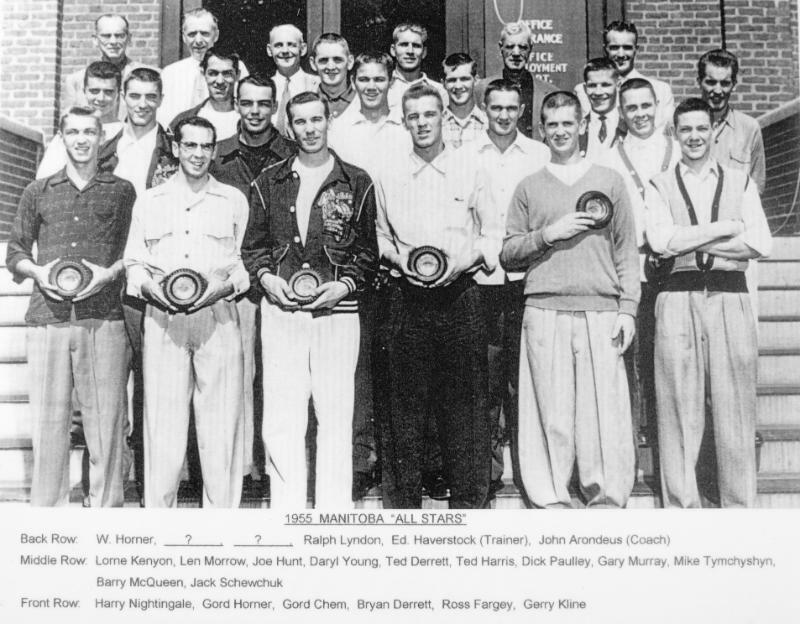 Teams of Manitoba All-Stars finished second three times in the 1950s. The replacement senior lacrosse trophy, the Mann Cup, was donated in 1910 by railway entrepreneur, Sir Donald Mann. It was originally a challenge cup, before a playoff system was instituted in 1926. The Mann Cup was also a field lacrosse trophy before shifting to box lacrosse in 1932. Winnipeg clubs failed three times in challenges for the cup and three times finished as finalists in the current playoff era. At box lacrosse's "B" level, the President's Cup (senior) and Founder's Cup (junior) were both instituted in 1964, with Winnipeg hosting the Founder's Cup tournament in 1993. With the return to popularity of field lacrosse in the 1980s, two new trophies were added for senior competition: the Ross Cup (Division I, inaugurated in 1984) and the Victory Trophy (Division II, 1985). 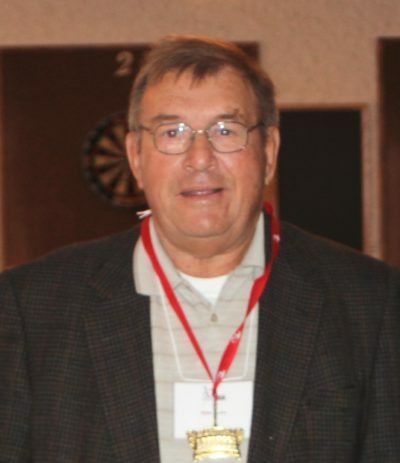 The latter has been won by Manitoba three times (1985, 1986, and 1995). Johnny Buss, "An Earful," Winnipeg Tribune, September 14, 1940, p. 19. Tony Allan, "One Man's Opinion," Winnipeg Tribune, September 13, 1946, p. 16. Vince Leah, "From the Sidelines," Winnipeg Tribune, October 4, 1949, p. 15. Catherine Macdonald, A City at Leisure: An Illustrated History of Parks and Recreation Services in Winnipeg (Winnipeg: City of Winnipeg, Parks and Recreation Department, 1995), p. 83. Macdonald, A City at Leisure, p. 83. Macdonald, A City at Leisure, p. 84. Leah, "From the Sidelines," p. 24. Leah, "From the Sidelines," p. 27. Vince Leah, "Boxla match for Arena?" Winnipeg Tribune, 31 May 1968, p. 19. 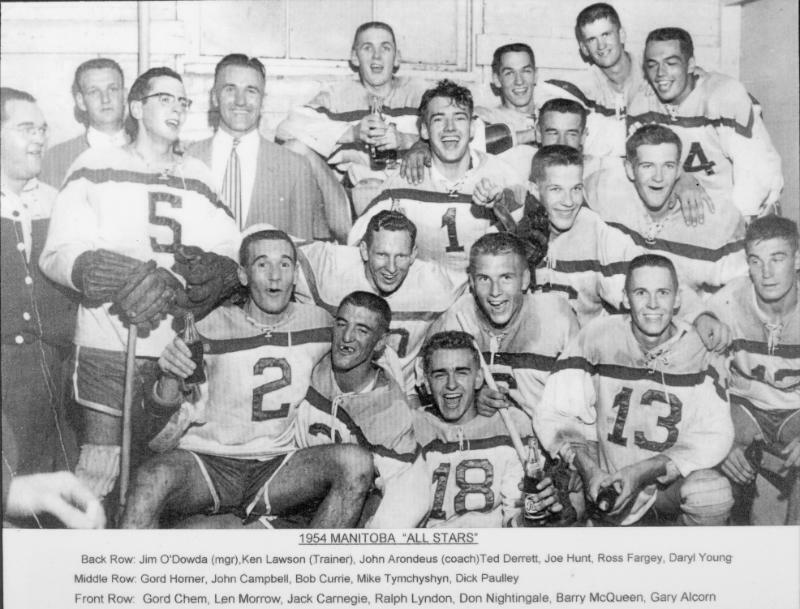 "There was a spell in the 1950s when Manitoba junior teams were surprisingly able but all this early missionary work was allowed to wither away and somebody had to virtually start all over again in one of lacrosse's periodic revivals."